Foldable Water Bottle: Bubi is the Summer Hydraton Essential You Need! Let the foldable water bottle, bübi, make your summer more hydrated. When it comes to quenching your thirst, there is no alternative to water. It is natural, sugar-free and calorie-free. Water comprises at least 60% of the adult body and is essential for regulating body temperature and detoxifying body waste. And during summer when the temperatures soar, water helps you stay hydrated and keeps your body cool. A collapsible water bottle will help you drink more water. Summer is here and whether you are hiking, swimming, or running errands, let bübi, a foldable water bottle, help you stay hydrated. 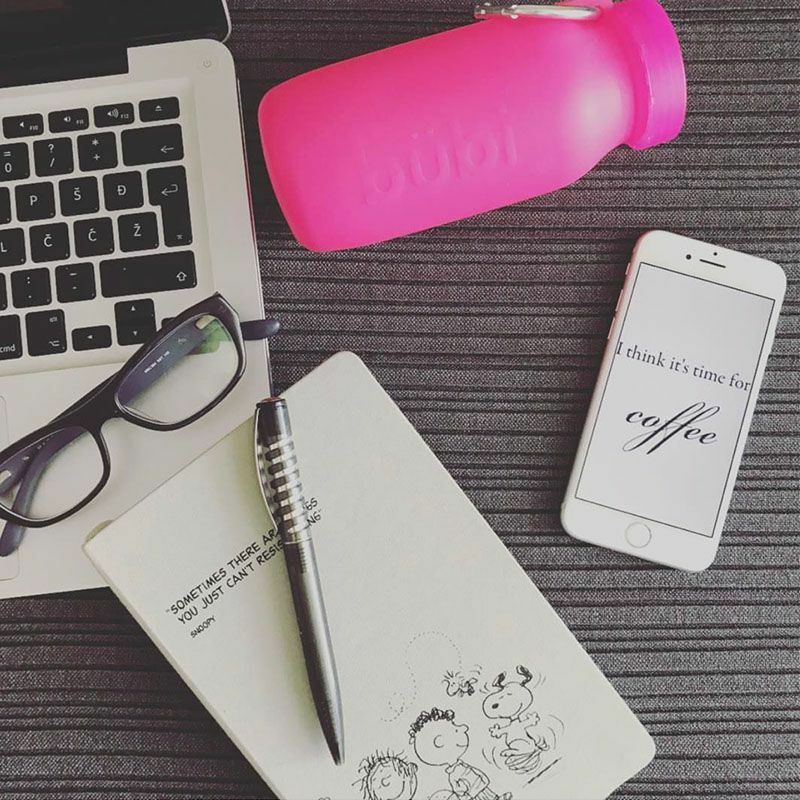 Bübi is a reusable, BPA free, foldable silicone water bottle. This collapsible water bottle is insulated for hot and cold temperatures, making it perfect for any travel destination. Being a collapsible water bottle, you can roll it easily and tuck it in your bag or backpack for wherever you go. hardly take up any space. Another amazing feature of this foldable water bottle is that you can place it over a fire to boil water or heat your beverage of choice, making it perfect for camping. And cleaning the bottle is hassle-free without any need for a brush or sponge as you can easily turn it inside out. After summer break, your bübi bottle will accompany your kids to school. My kids love their bübi! Fill it with filtered water or even their favorite juice. A foldable water bottle is a great alternative to plastic water bottles or drinking from the water fountain! Then when empty, they fold it up. Being a silicone water bottle, it’s so lightweight that it doesn’t add extra weight to their backpacks. Plastic bottle waste poses a serious threat to our environment and only a small amount is recovered after recycling. Bübi is a sustainable and reusable water bottle, thereby helping to reduce the damage to our ecosystem. So, by swapping your disposable bottle with the silicone water bottle, bübi, you are making a greener and more cost-effective choice. Make the foldable water bottle, bübi, your reusable water bottle of choice this summer and for back to school so the whole family drinks enough water! Click here to get yours now.